I have never understood the concept that certain foods have to be eaten at certain times of the day, so I often find myself tucking into dishes first thing in the morning that most people would not consider 'suitable' for breakfast. This is possibly one of them. The recipe I adapted it from suggested it as a supper dish. OK, I have to be honest here, and say that the consistency of the spring onion sauce initially reminded me a little too much of the glutinous okra side dishes so often served in West Africa and the Caribbean. I have a very adventurous palate, and enjoy an enormous range of tastes and consistencies, but glutinous is not one of them. However, once I got past the visual aspect of the sauce and actually tasted it, it was nothing like okra nor was it particularly glutinous. 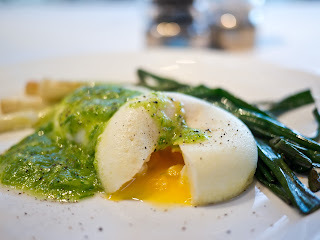 Seared spring onions with poached egg. Liquidise one of the spring onion bunches with the lemon juice, adding water until you get the consistency you want. Sear the other bunch of spring onions over a high heat in a little Fry Light. 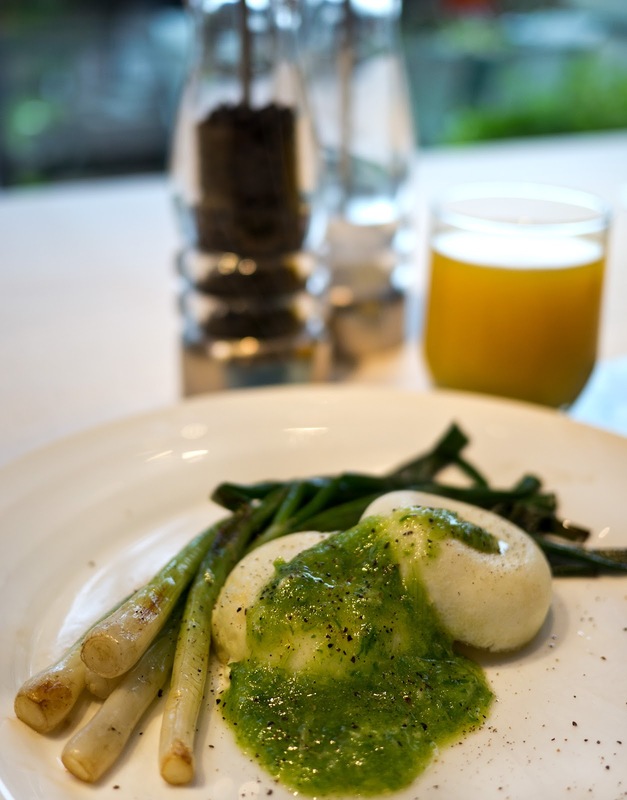 Poach the eggs to your liking and serve with the whole spring onions with a little sauce spooned over.